How lucky were we? Our story on ABC Landline! 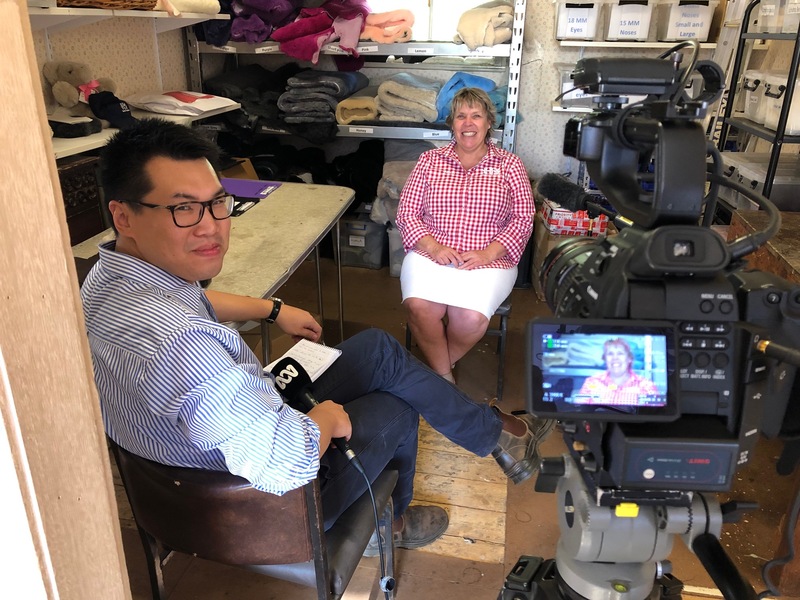 Interest in our new venture encouraged journalists David Chen and Nathan Morris from ABC Southern Queensland to put together a great piece on our Regional Sewing Hub. And it came together so well! We didn’t think we had that much to tell, or were doing anything special but when we watched the segment we quite naturally felt quite proud of what we are doing and what we have achieved. We have realised for a long time now that we have had a supply issue, we just cannot grow or expand this business with one or two sewers in Tambo. With the imminent retirement of our leading hand, Verna, the pressure was on for us to find a solution. We looked at the issue from many angles; some ideas were tossed out immediately and some were chewed over thoroughly. We participated in a Mentoring for Growth session facilitated by the Business Queensland and accessed volunteer business experts who provide insights, options and suggestions relating to challenges and opportunities you are experiencing in your business. This session focussed our thoughts and we set out to find a partner to help source workers. After chasing up a couple of dry gullies we were finally put in contact with MDA Multi Queensland. Initially we spoke to the Rockhampton branch, who put us in contact with the Toowoomba branch as this was the direction we wanted to head with the Hub as we both have resources and family in that town. As Tammy has two little children, Alison will be doing more of the running between the two workshops and luckily she has a unit in Toowoomba already so always has a spot to stay. It has been a big risk setting up this sewing hub, but now its operational we are loving the increased production and are ready to get our teddies everywhere. The response to the story on Landline has been huge, the orders have been flowing in and its been all hands on deck. We have amazing staff who go above and beyond, as even though we had all the stock coming back from Toowoomba we keep receiving orders for bears that aren’t currently being made in the Hub as the sewers are still learning the different products. Liz has been steadily sewing away and Verna has been popping in after work to pump a few out! We love making our beautiful bears and sending them off to new homes, just about as much as you enjoy receiving them, and thanks to our Regional Sewing Hub and new workers we will be able to keep the bears coming.